Consumer Reports' auto top picks for 2013 have the Japanese brands leaving Detroit in the dust. This, from Automotive News, says it all: "For the first time in several years, Detroit automakers did not claim the top spot in any vehicle segment, continuing their longstanding struggles in the magazine's rankings. 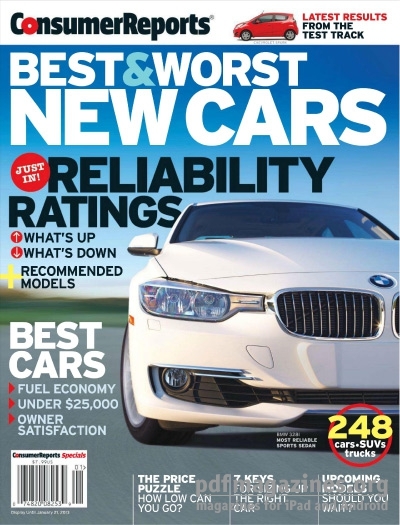 "Consumer Reports, an influential shopping guide with 8 million magazine subscribers, said the six lowest-rated brands were Buick, Chrysler, Ford, Lincoln, Jeep and Dodge."